Italian painter, originally Francesco Morandini da Poppi. He went to Florence at an early age and became a protg of Vincenzo Borghini. 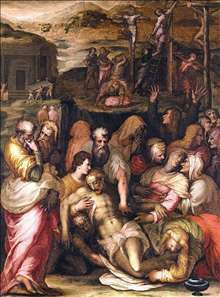 He was trained by Giorgio Vasari, whose team of artists he joined in the work of remodelling the Palazzo Vecchio for Cosimo I de Medici, Duke of Florence, later Grand Duke of Tuscany.